Home » Blog » Are your kids getting the exercise they need? As the number of children with obesity in the United States continues to rise, it’s more important than ever to encourage kids to put down their digital devices and get moving. The desire to break a sweat doesn’t come naturally to all of us, but parents can play a crucial role in helping children ages 6 to 17 get 60 minutes or more of physical activity each day. That’s the amount of exercise called for in the Physical Activity Guidelines for Americans, issued by the US Department of Health and Human Services. Aerobic: This should make up most of your child’s daily exercise. Good options are brisk walking, outdoor games such as tag and organized sports such as soccer. Bone strengthening: Jumping rope and running are good ways to keep bones strong. Muscle strengthening: Running, rowing, gymnastics, push-ups and sit-ups all help build muscle. Reduce the time your child spends sitting: every child needs time to read and do homework, but don’t let kids get stuck in front of the television, video games or their favorite website. Limit screen time to two hours per day and encourage your kids to find other fun activities. Be a role model: Children tend to follow their parents’ example, so be active and get them involved. Bike or hike together, and attend their games if they play team sports. Your child doesn’t need to be a star athlete: There’s a physical activity for every child, no matter his or her skill level. Playing with friends, running around outdoors or biking are great for kids who shy away from specific sports. Support your child’s choices: Football may have been your game, but your child may not be interested. If organized Frisbee or skateboarding is your child’s passion, go with it and help your son or daughter excel. Tap community resources: Check with your local park district or pool for fun activities that will appeal to your kids. Many activities such swimming will be on a schedule and can become part of your child’s routine. Plan active vacations: Make sure to incorporate daily physical activities into family vacations. Take a hike, walk on the beach or rent bikes to get around. By helping your kids get the daily exercise they need, you will reduce their chances of obesity and help them establish healthy habits for life. 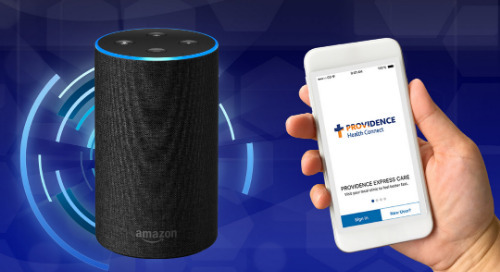 If you need more tips or advice, make sure to talk with your Providence provider.